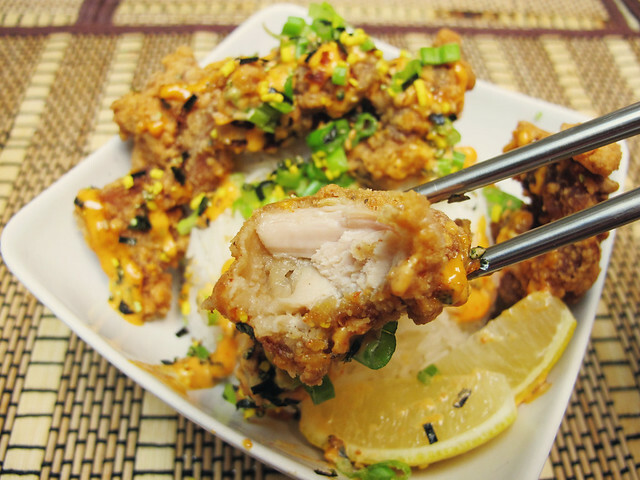 Chicken Karaage also known as Japanese Fried Chicken (JFC) is the STUFF!!! Do you like how I try not to curse on my blog? Once again, JFC is the STUFF!!! 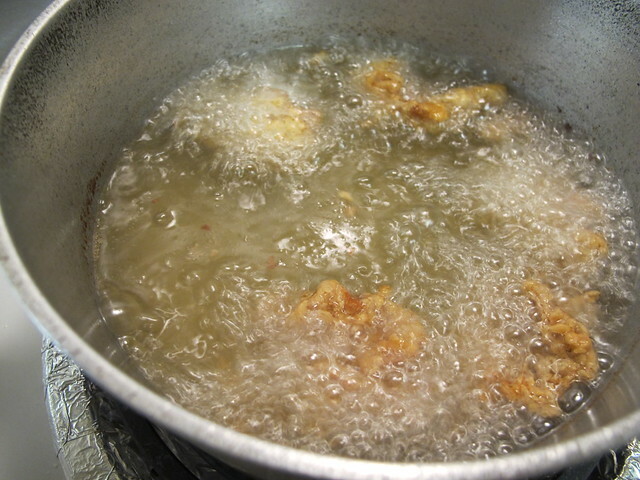 It’s so frigging good, I can’t even begin to describe how much I dig the subtle hints of ginger, garlic and soy in each juicy bite made crisp by dusting with potato starch or even rice flour before taking a sizzling bath in hot oil. 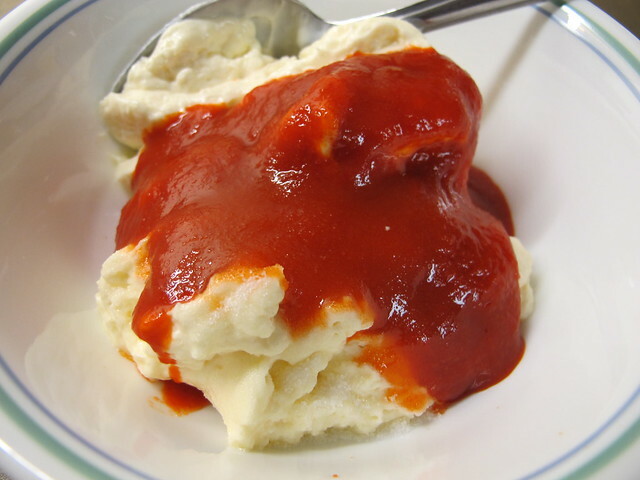 Squeeze of lemon on top and a light dunk into kewpie mayo and you have the perfect drinking food. It’s incredibly important that your JFC is made with dark meat. 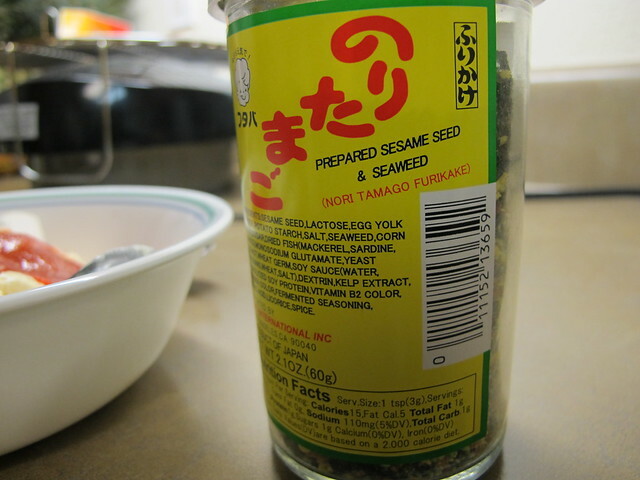 It just doesn’t taste the same when using chicken breast, also you must keep the skin attached! 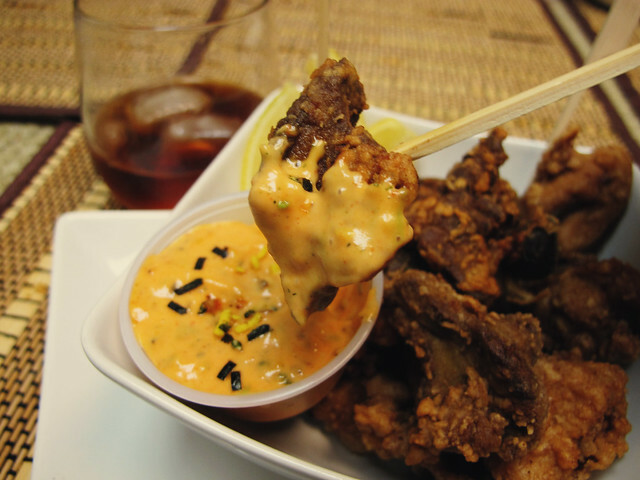 You can argue that it’s lower in fat if you trim the skin but darn it, it’s fried chicken that accompanies your alcohol dipped in mayo, why worry about those extra calories!?? This is the time to NOT worry about it! 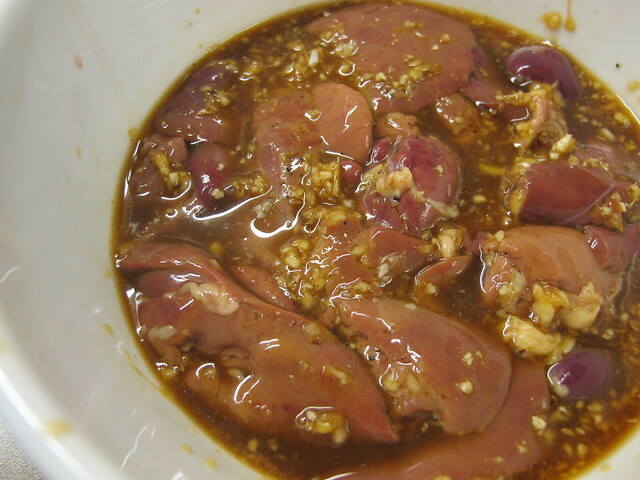 I used chicken thighs and for a bit of offal goodness (and because my father and I love it), some awesome chicken livers! Funny enough, my baby brother whose palette is developing rapidly thanks to yours truly, ate almost all the chicken livers! I honestly didn’t think he’d be into it, but like me, he digs that gamey flavor and creamy texture. Of course he ate like 30 pieces of the chicken thighs also, I was lucky enough to get some without my fingers being bitten off in the process. Yea, they’re THAT good. 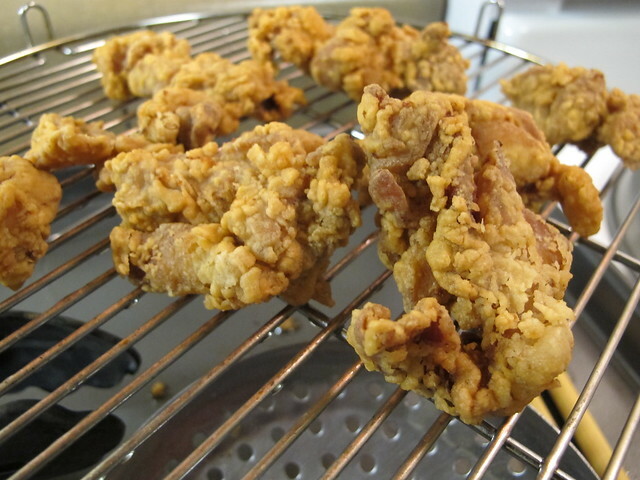 Look how moist and juicy those chicken pieces are! 1. 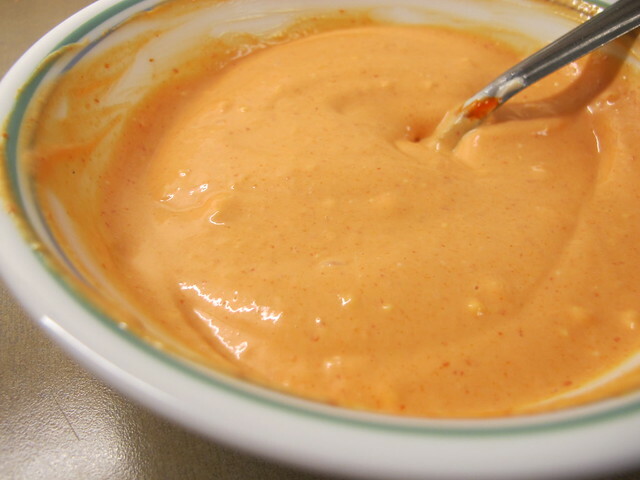 Combine Mayo, Sriracha, sugar and onion powder in a bowl. 2. 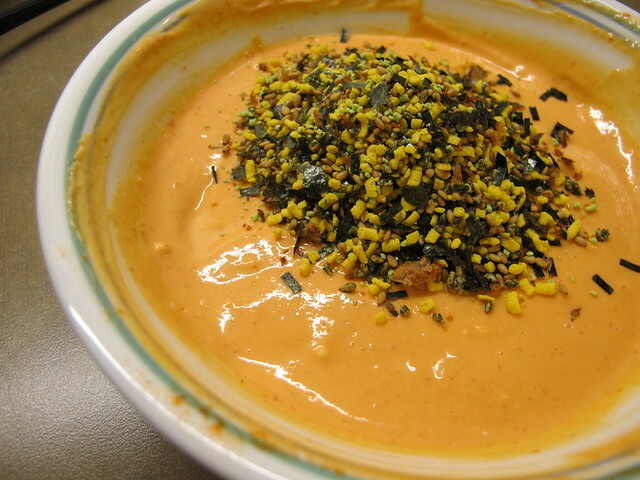 Add Furikake and fold in, wrap with plastic and set in fridge and let all the flavors chill out and become one. YAYY! 1. Make it easier on yourself. 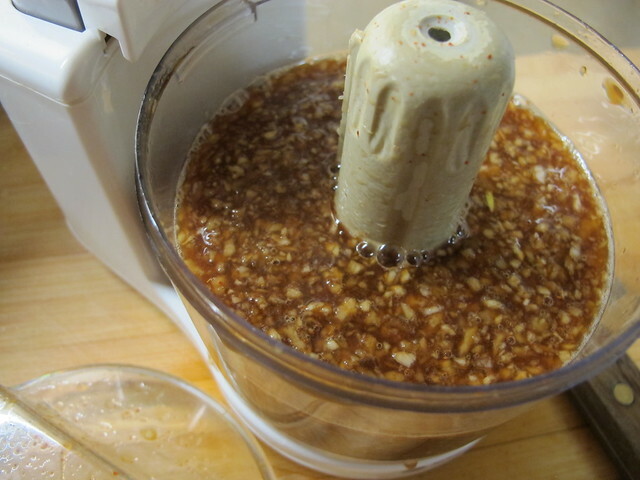 Add all ingredients from ginger to soy sauce in a food processor (I have this cute little mini one) and bllllleeeeennnnndddddddd it all together. 2. 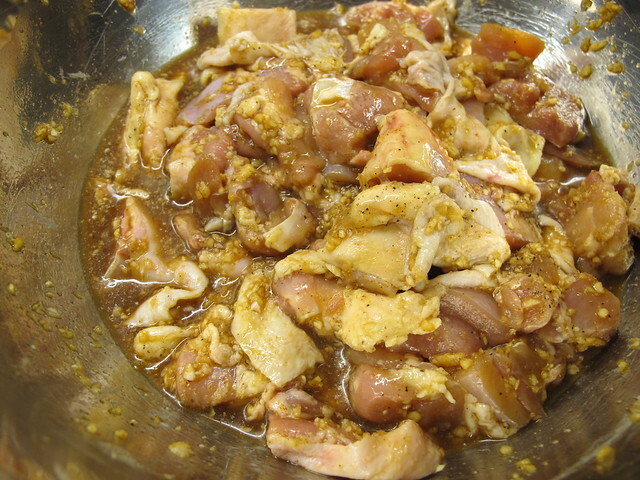 Add marinade to chicken (and liver) pieces and allow to marinade at least 1 hour or up to 24 hours. 4. 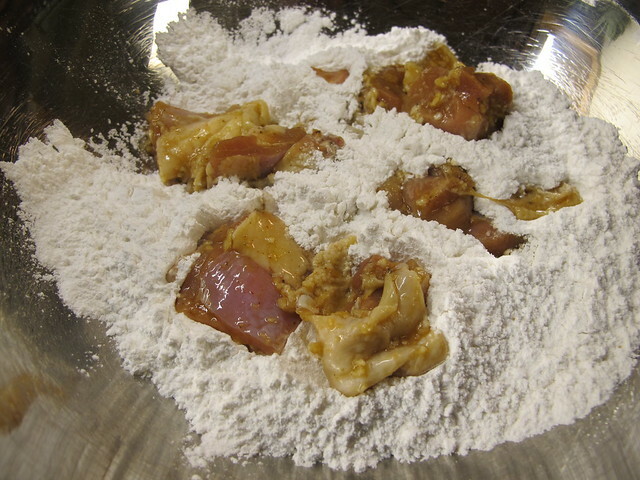 Dredge chicken pieces in rice flour, set aside for 10 mins to let the crust dry out a bit. 6. Drain on wire rack and stop yourself from reaching over to and popping a piping hot piece in your mouth. Admire how amazingly crispy and beautiful it looks then pat yourself on the back, you did good!! 7. 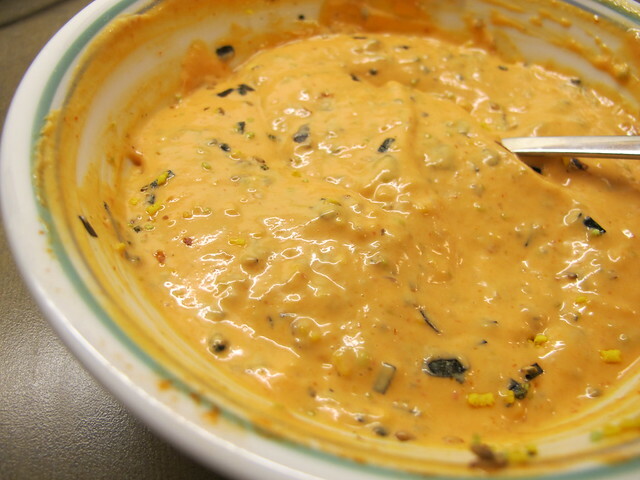 Serve with lemon wedges and SFM. 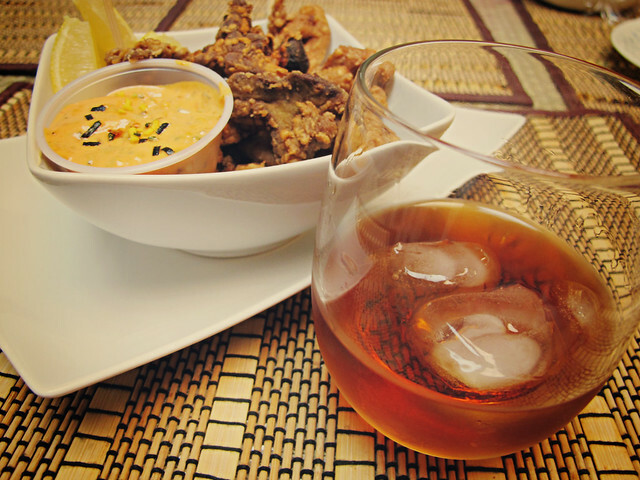 If you’re a drinker, it’s only proper you sip on Hennessy VSOP, two fingers on the rocks like I do. I am a lady after all. 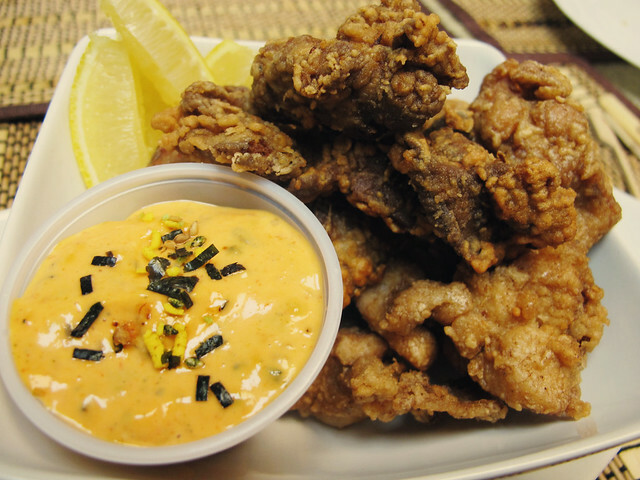 BTW, the darker pieces on top, that’s the chicken liver! 1. 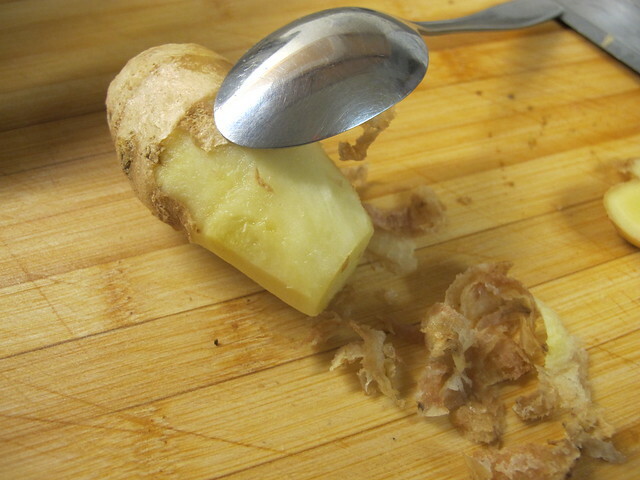 Did you know the best way to peel ginger is with a small metal spoon? 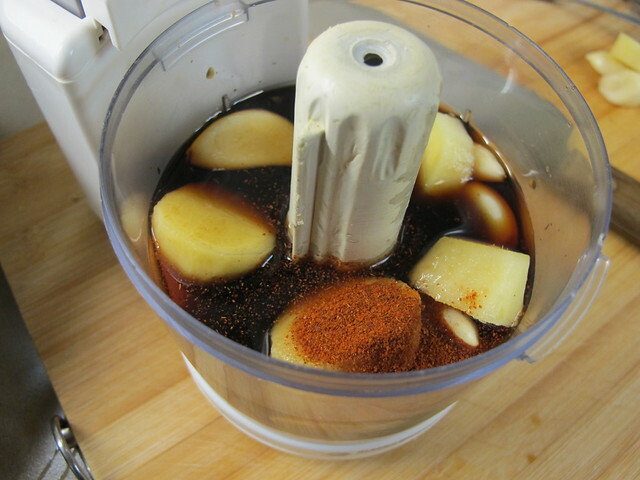 Only the peel comes off and you don’t end up throwing away good ginger meat! 3. 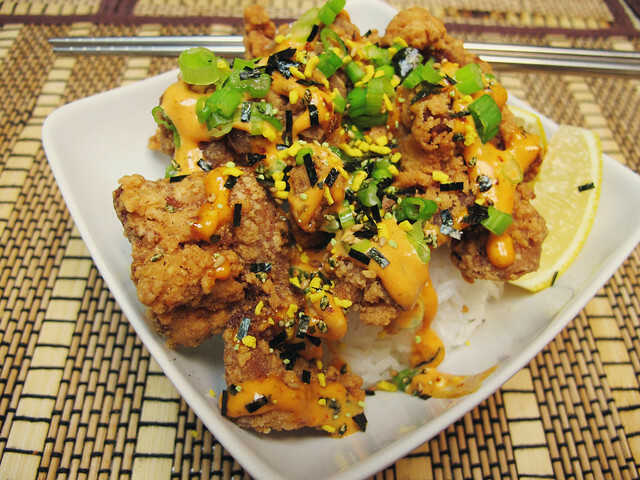 You can easily double or triple this recipe. The SFM was so popular with my family, they asked me to make extra! 4. My family thinks I rock for making this and yours will too!! 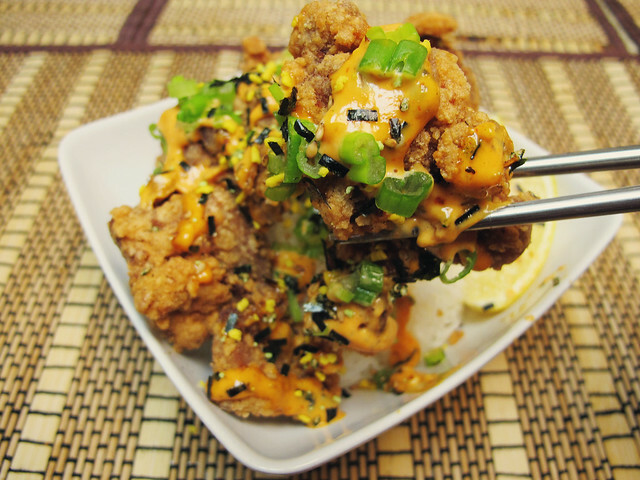 If you aren’t a drinker, feel free to top your rice with lots Karaage, SFM, green onions and more Furikake. I was listening to this on repeat while cooking. It rocks so hard! !